Introducing Optiway, one of BEKA-Schréder’s most versatile and reliable industrial luminaires. It is a small, versatile and robust low-power LED bulkhead which can be mounted on any structure, is robust and offers high photometric performance. 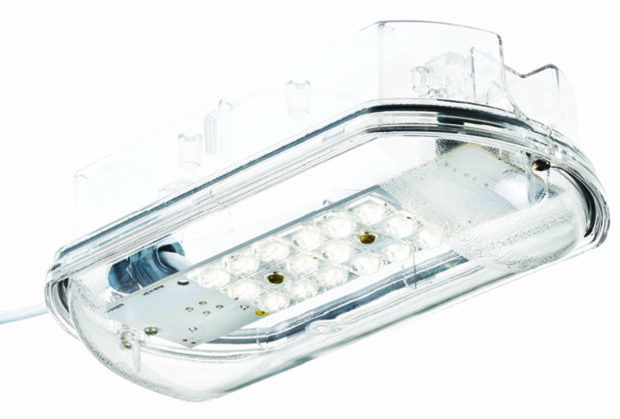 The Optiway uses the latest LED technology and unique optical distribution that suits most lighting applications. The luminaire is suitable for use in various industrial environments including underground haulage; outdoor mining areas; oil and gas refineries; food and beverage plants; manufacturing process plants and any other application requiring a low-power and robust luminaire. The optional Optilink plug-in system simplifies the installation process significantly, especially for underground mining applications.